What is Hospice? > Why the Hospice House? 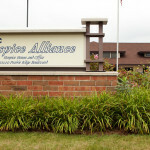 Hospice Alliance’s Hospice House is designed to be a welcoming “home away from home” for our patients. Our house, located in Pleasant Prairie, features beautifully decorated private bedrooms, with private bathrooms with views of landscaped gardens. Comfortable living rooms and dining areas provide relaxing settings for family visits, including children and pets. Residents also enjoy home-cooked meals, made to order, and visitors are welcomed with homemade cookies baked by our volunteers. The peaceful surroundings of our Hospice House allows you to enjoy quality time with your loved one. Plus, you will have peace of mind knowing that our skilled hospice professionals are here 24/7 for your loved one’s daily and nightly care. Individuals of all ages who are in the final stages of life and would like to receive skilled hospice care in a home-like setting. What are the charges and how are they paid? The Medicare/Medicaid hospice benefit and most private insurances cover care by the hospice team, medications, medical equipment and supplies. These benefits do not provide for Hospice House room and board. However, our staff will work with you and your family. Our mission is to make all of our services available regardless of ability to pay. Who may refer a patient? Anyone. Referrals come from doctors, hospital staff, clergy, patients and family members. Family and friends may visit a loved on in our Hospice House 24 hours a day, 7 days a week. All patient rooms are private and conducive to visits. The Hospice House offer family gathering areas as well as quiet areas. Visits by children and pets are encouraged.